We offer a secure asset disposal and data sanitisation service for established businesses looking for a flexible range of asset disposition and supply chain management services. 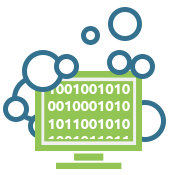 For large businesses, managing an extensive IT portfolio is a challenge made more difficult by the demands of data protection and secure recycling. We take the risk out of asset disposal by providing a thorough, secure data eradication process, compliant with CESG Infosec Level 5 standards. 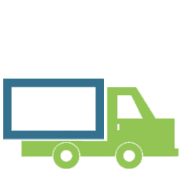 We also provide data sanitisation and supply chain services. In all we do, we strive to maintain the highest levels of professionalism and service; a philosophy and practice that sets us apart from many of our competitors. We leave no stone unturned in our efforts to safeguard your data security. Environmental sustainability is also the heart of what we do. At Absolute IT we adhere to a zero harm policy in our interactions with the environment. 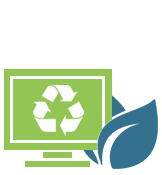 Our services maximise the reuse and recyclability of IT assets and components – while paying full attention to the safe disposal of your sensitive data. We are proud to have achieved a 0% landfill rate, exceeding the 16% target stipulated by the Environment Agency. We work with large businesses from a wide range of industry sectors, including manufacturing, financial services, healthcare, the NHS and the construction industry. We offer a flexible and attentive portfolio of services customised to the needs of your business, and we look to establish the trust that comes with a long-term working relationship. We have recently produced a free ‘Guide to Mobile Data Sanitisation’ ebook, which you can download from the link below. "All went impressively well this morning, very easy and efficient – big thanks to the guys who helped!" 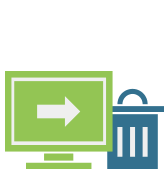 In the pages of this website, you’ll find information about all our asset management and disposal services, including onsite and off-site data sanitisation, IT asset disposal and a number of supply chain services. We can use our expertise not simply to dispose of assets, but also to oversee decommissioning, secure collections and office relocations. To find out more about our business, we invite you to browse the pages of this website and please do not hesitate to get in touch with any questions. You can call us at any time on 01332 371 989, or request a call back by filling in the form to your right. For hints and tips, along with the latest news, commentary and industry trends, please subscribe to our blog and keep checking back regularly. 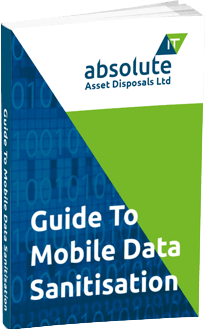 We have recently produced a free ‘Guide to Mobile Data Sanitisation’ ebook, which you can download from the link on this page. The e-book provides practical advice on data security, document shredding and HDD disposal, all within the framework of compliance with the Data Protection Act and industry best practices.